Image: Robert Marschelewski/Flickr//Original photo was cropped but not altered for this article. 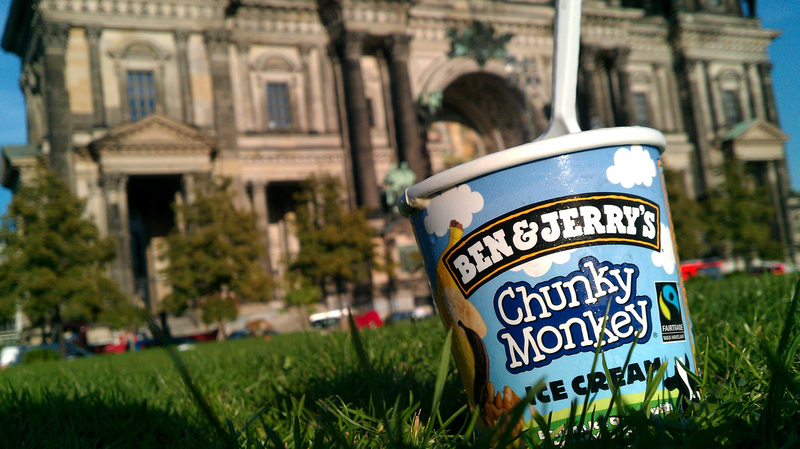 The Ben & Jerry’s co-founders were arrested yesterday in D.C. But before you set down your pint of Phish Food, never fear — their infraction was a simple flexing of their political muscle. A famously liberal duo, the founders (Jerry Greenfield and Ben Cohen) were participating in the group Democracy Awakening’s march to the Capitol building. Luckily for these ice cream innovators, though they were arrested for unlawful demonstration activities, they weren’t taken to jail and were released on the scene after receiving a citation. Whenever I hear of a beloved celebrity or food manufacturer getting arrested, I brace myself. What do I need to boycott now? But personal politics aside, I can’t get too mad that two old hippies were arrested for trying to enact political change. And thank goodness, because you’d have to pry the vegan Chocolate Fudge Brownie ice cream out of my cold, dead hands if it came down to it.